When asked to name five prolific female directors, ones with at least three movies to their credit a piece, most people would probably have to resort to Google for some help. (For the record: Nora Ephron, Penny Marshall, Kathryn Bigelow, Ida Lupino, and Doris Wishman. There.) That is exactly the problem New York Times columnist Maureen Dowd wants to address with “The Women Of Hollywood Speak Out,” a sprawling, 7,400-word exploration on the problem of chauvinism in the movie industry. This is hardly a new or unreported problem, but Dowd’s article stands out, as she consulted “100 women and men at all levels of Hollywood” about the topic. Further distinguishing the article is the fact that is accompanied by photographer Art Streiber’s portraits of dozens of these interview subjects, including directors, screenwriters, and executives. Among the notables consulted: Anjelica Huston, Lena Dunham, Helen Hunt, Nancy Meyers, Whitney Cummings, Amy Heckerling, and Shonda Rhimes. All they like is Superman, Batman, those kinds of things, because it sells foreign, because it doesn’t have a lot of dialogue. Even the comedies are sophomoric. They remake things that are lying there while the people who have done it already are still alive. I’ve read and seen horrible stuff. Sometimes the people who are in charge of things are a little dumb. 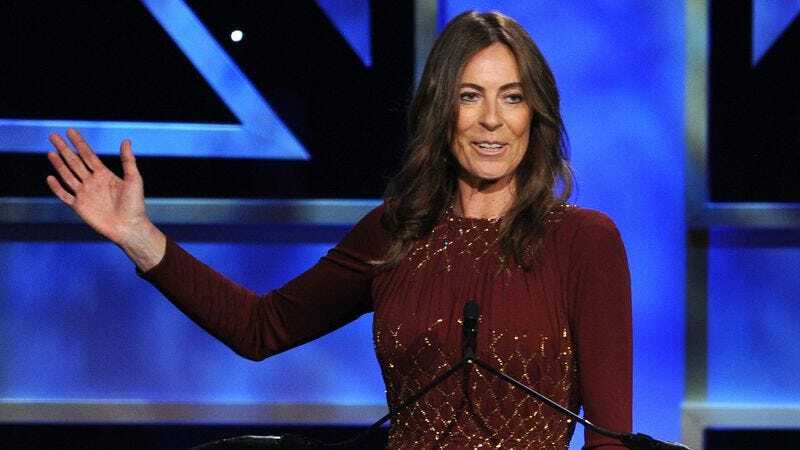 Oscar winner Kathryn Bigelow is virtually alone in being trusted with big studio films, and even she isn’t being offered Jurassic World, the article points out. Hollywood is sticking to its old, bad habits even when they don’t pay off, as when Josh Trank, another young white guy with a baseball cap, delivered the dismally unsuccessful Fantastic Four this summer. Lena Dunham sees a troubling, possibly inescapable paradox here: Women can’t get big-time directing jobs without experience, and they can’t get that experience without directing. Miranda July feels that, in the minds of Hollywood’s powerful elite, women simply have an aura of “ickiness” that they cannot shake. The somewhat less sexist television industry offers some respite for female filmmakers, but Hollywood seems unlikely to renounce its chauvinist ways in the near future.